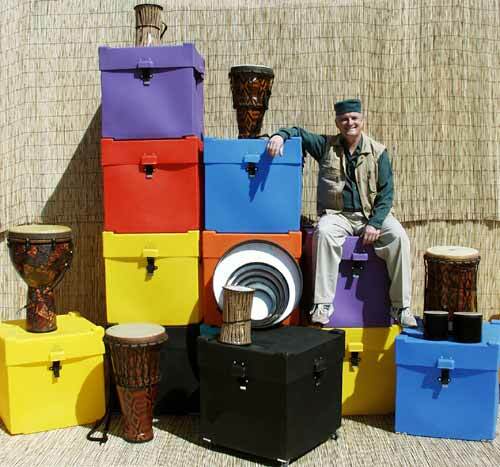 Arthur Hull designed lightweight, durable 24″ x 24″ shipping boxes for people who need to relocate a lot of drums. Unlike their predecessors (cardboard boxes), these shipping boxes will not wear out! They are stackable (with interlocking corners), rollable (removable wheels on the bottom), expandable (expandable straps on the sides), and infinitely fillable.